Put down those free weights and drop the kale smoothie! Your New Year’s resolution might be sabotaging your life. 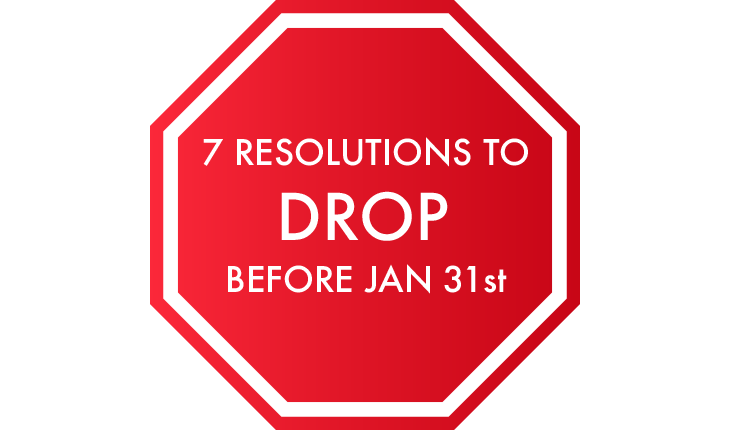 U.S. News reports that an astonishing 80% of Americans ditch their resolutions by February of any given new year. 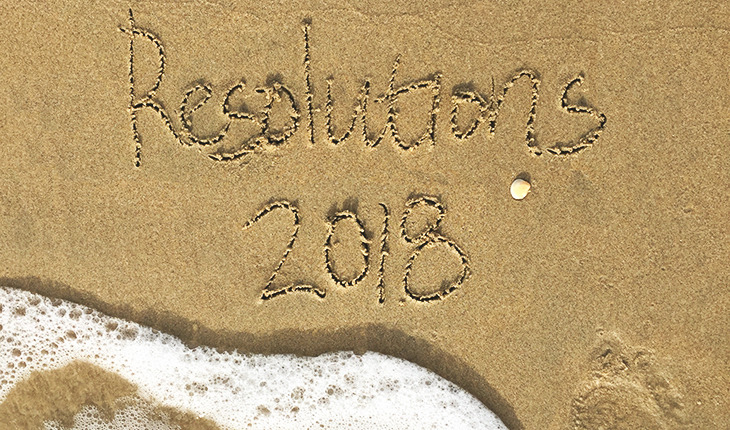 A failed resolution, especially so early in the year, can be a disheartening and expensive waste of time, smudging what was supposed to be a clean slate. But the inability to keep a resolution doesn’t have to reflect poorly on the resolution-maker herself. It might just mean that the goal she set wasn’t right to begin with. If this sounds like you—don’t worry. With the Blue Moon lunar eclipse on January 31st, there is another opportunity to start fresh in 2018. But first, out with the old. Staying in can help save your wallet and waistline, but regularly eating with others actually has emotional, spiritual, and social benefits—there is a reason why so many cultures have centuries-old rituals of communal eating. If you are hoping to save money, try a modified resolution of hosting a friends’ potluck dinner once every other month. If a healthy body is your goal, aim to try one new healthy food a week to experiment with when dining out, and keep things, well, fresh! Go to the Gym Every Day. Or Plan to Run Several Miles Every Day. Even though gym and exercise resolutions are often well-intentioned, they set resolution-makers up for failure by not leaving room for rest and recovery; critical parts of any fitness routine. Instead of resolving to visit the gym every day, try adding only one more day to your current gym routine. If that means that you go once a week, that is perfectly fine. It may take longer to notice changes in your body, but your body and your mind will thank you down the road. Building habits slowly is the really the only way to do it. Science says the absolute minimum time threshold for forming a habit as simple as drinking water with lunch is 21 days…and the average is close to two whole months! Read a Book a Week. Or Finish Every Magazine You Read – Cover to Cover. Even if your reading list is fifty books long, this is a perfect example of an overreaching resolution. With life’s many uncertainties, it very well might take you longer than seven days to get to the end of that page turner. Instead of a book a week, aim for reading one book a month. If you end up reading more, celebrate success! Start Downhill Skiing. Or Flying Trapeze. Taking on new hobbies is a great way to keep your mind and body young. However, take your limits into consideration when you choose which If you live in the desert or are prone to knee injuries, maybe downhill skiing isn’t the best option for a regular practice. Instead, resolve to try downhill skiing, or another hobby, one or two times in the new year. This will give you time to truly decide if it is the activity for you. More importantly, this will allow for self-forgiveness if you choose to stop. While wearing new clothes can be a fun way to expand your horizons, it’s important to not let go of the clothes that make you feel comfortable, powerful, or happy. You don’t have to do a complete overhaul to feel like a whole new you. If you’re aiming to switch up your look, try resolving to add four or five new, different pieces before overhauling your whole closet. This way, you can amplify your je ne sais quoi with your sartorial choices—not hide it. Go on a Diet. Or Basically Decide to Eat Celery for Breakfast, Lunch, and Dinner. Diets, much like New Year’s resolution rates, have a remarkably high drop-out rate. Over 80% of people who lose weight on diets eventually gain it back, and much of this is due to restrictive eating habits that deprive the body of essential nutrients. Instead of aiming to eat less food, aim to eat more good Want a great tip? Aim to cook all of your meals for 30 days with Whole30 ingredients, a set of unprocessed, nutrient-rich foods –a great example of a food-related resolution that celebrates your body for eating rather than punishing it. Stop Drinking. As in Totally Stop Drinking. Forever. Just as overly restrictive diets can hamper your health goals, overly restricting rules like cutting out all alcohol can make it hard for you to succeed in the long run. While it can be great to take periodic breaks, rather than focusing on saying “no,” turn your attention to focus on saying “yes” to healthier options, such as cocktails made with fresh fruit juice, or lighter aperitif cocktails designed to prepare your stomach and palate for a meal. Of course, if this resolution is rooted in having a problematic relationship with alcohol, please seek help.